Back with his latest single, First Place, Scandi-based pop producer Jimi Somewhere returns with news of an upcoming EP entitled 'Ponyboy' as he unveils its first track. 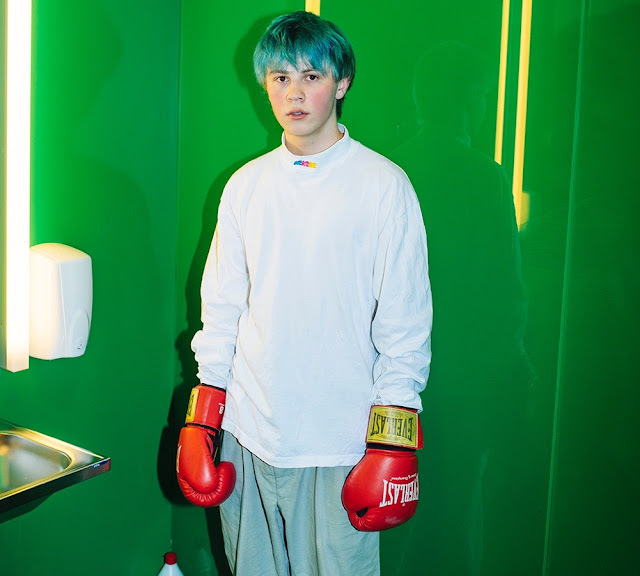 Hailing from Hokksund, a medium-sized town in Norway, the artist has a natural ability in creating emotionally charged, hunger driven music and 1st Place is no different as we get hints of Frank Ocean on a much bigger pop tip. "First Place was made by me and Milo together with another Norwegian producer we befriended during our stay called Bearson", explains Benjamin Scahndy. "Actually, during our first week in LA we met up with Bearson and made the song on that same day. It’s written and performed by myself, produced by Bearson & Milo Orchis. It’s a song about how, no matter what I’m going through in life, I’m gonna be okay as long as I got my friends beside me". Take a listen for yourselves. His EP, 'Ponyboy', will be out in Spring.